TBI Pro Style Stake-Out. $42.95. 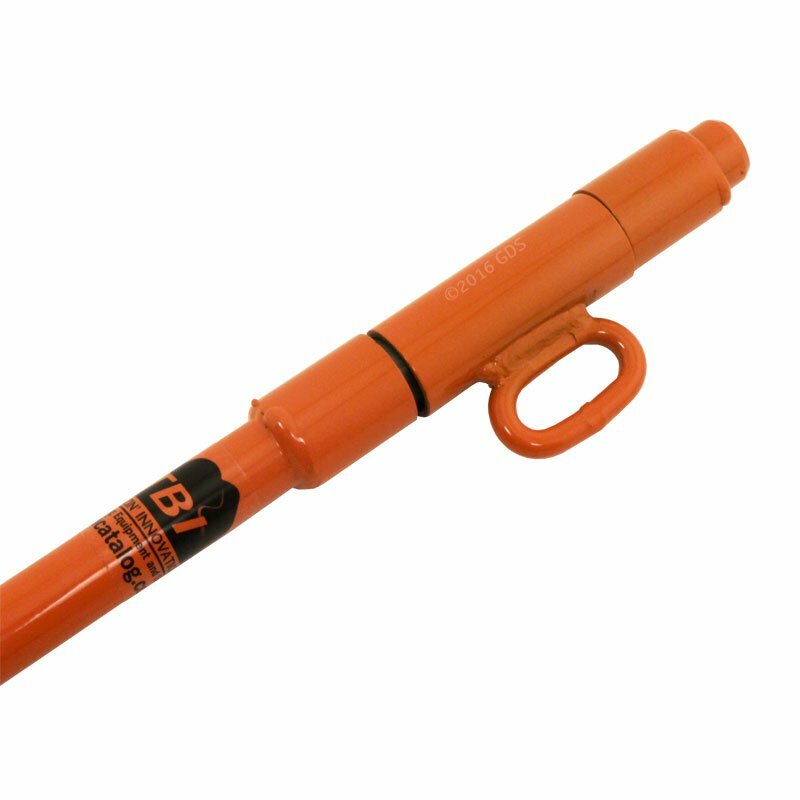 Today we're looking at the TBI Pro Style dog stake. These are heavy duty stakes. They are super long. They are set up for one dog. And it's a spinner on it, so you can stake out your one dog and keep him there. I don't use them that way. I prefer to use what's called a chain gang. I use these as the stakes for my chains. They go into the ground really deep. You can angle them in. they'll fit on a ring or you can attach to the clip. Heavy duty. They are going to last for years. We've been using them for a long time. It's just a really nice stake. "Another great item from GDS." I bought this stake from GDS, and it is excellent. I have 2 big labs 95# and 88#, and with this stake, I can keep both staked at the same time if I want. It is heavy duty and will last a lifetime. You need a small mallet to drive it in the ground, but it stays put until I pull it out. Its great for airing my dogs at hunt tests instead of crating them when its really hot outside. Another great item from GDS. "Purchased for our annual Maine hunting trip, but gets used regularly around the yard." I purchased the tie-out stake for our annual Maine hunting trip, but gets used regularly around the yard. The stake out is top notch. No rust and the coating hasn't chipped or pealed. I would definitely recommend this product to a friend, which I did and his is holding up just as well. "Built well, very sturdy and strong for that hard ground"
Everything from you all is great, especially the service! Upgraded to this stake-out and I love it! My 100 pound Spinone Italiano puppy bent his previous stake-out, but this one is the real deal. I know it will last for many years. 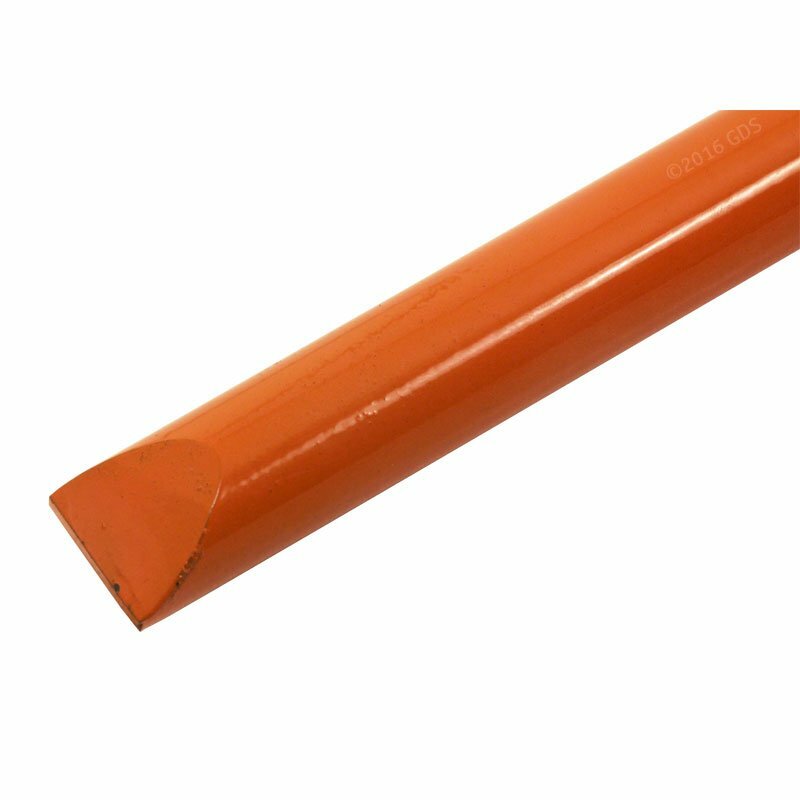 "Best tie out stake on the market as far as I'm concerned." Best tie out stake on the market as far as I'm concerned. Fantastic tool. I have used in the backyard while doing yard work in short burst's to help calm down my wild girl. The next field trial, i'm sure it will be used for a little longer. But she has taken to it just like i hoped she would and seem's to not be bothered by it. Solid piece of equipment too. I see no reason for this thing to need replaced anytime soon. Works well. I have used it on a couple of hunts to keep dog from breaking. The stake goes into ground easy and pulls up and out easy, but the dog can't pull it out sideways. 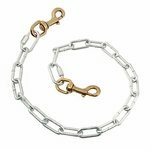 I may switch to a longer chain, but other than that I am really happy with this product. "My dog is just a pup, so I swapped out the heavy chain for a smaller cord, but it works great." "A must have as a trainer! I use two as a set up for a chain gang, and it holds up very well." Excellent piece of equipment. A must have as a trainer! I use two as a set up for a chain gang, and it holds up very well. I'm very satisfied with my purchase of TBI stake out tie out. "It is much better than anything I found in brick and mortar stores." Have not used it yet but I and pleased with the material and construction. It is much better than anything I found in brick and mortar stores. 80lb dogs can break the snap, but the stakes are bulletproof. Upgrade to heavier snap and they are very trustworthy. 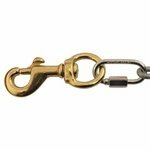 "Very useful tool during training as well as in the field"
"The thumb slide on the chain clasp had a sharp edge and it sliced my thumb open." The thumb slide on the chain clasp had a sharp edge and it sliced my thumb open. I ground the rough edges down to remedy the situation. The chain seems a bit short......two more feet would allow the dog a bit more movement. "Rugged, simple. Would definitely buy again and recommend." Rugged, simple. Would definitely buy again and recommend. "I actually have two of these stakes and haven't had a problem for two years"
I actually have two of these stakes and haven't had a problem for two years. BUT, yesterday the hook-up eye broke on one. Looks like interior welds. "Found the chain sent with the tie out is too short so added my own." Use the tie-out all the time - wanted something that was easy to pound into the ground and didn't bend or break. Found the chain sent with the tie out is too short so added my own. "In general I like the TBI Tie out Stake." In general I like the TBI Tie out Stake. It has a good length so that you can drive it deeper into soft ground if you need to. I like the fact that the metal loop that the chain is tied to is small so if you are a klutz like me and miss the stake you are less likely to damage the loop by hitting it. If you are trying out only one or two dogs this is a good choice. 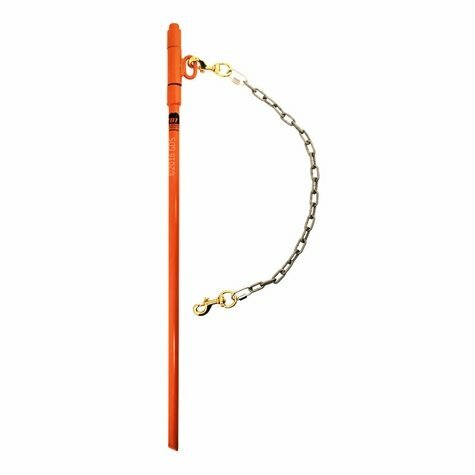 If you have more dogs I would use a stake out chain (if there is room). My only complaint is that the brass snaps supplied with the stake are too weak and my knucklehead dog broke them by pulling too hard on the stake. They are easy to replace with stronger snaps. If it wasn't for the snaps i would give it 5 stars. In comparison to the LCS long tie out stake, I think the LCS stake is stronger and but it has a large loop that is easier to hit if you miss the stake with your hammer. 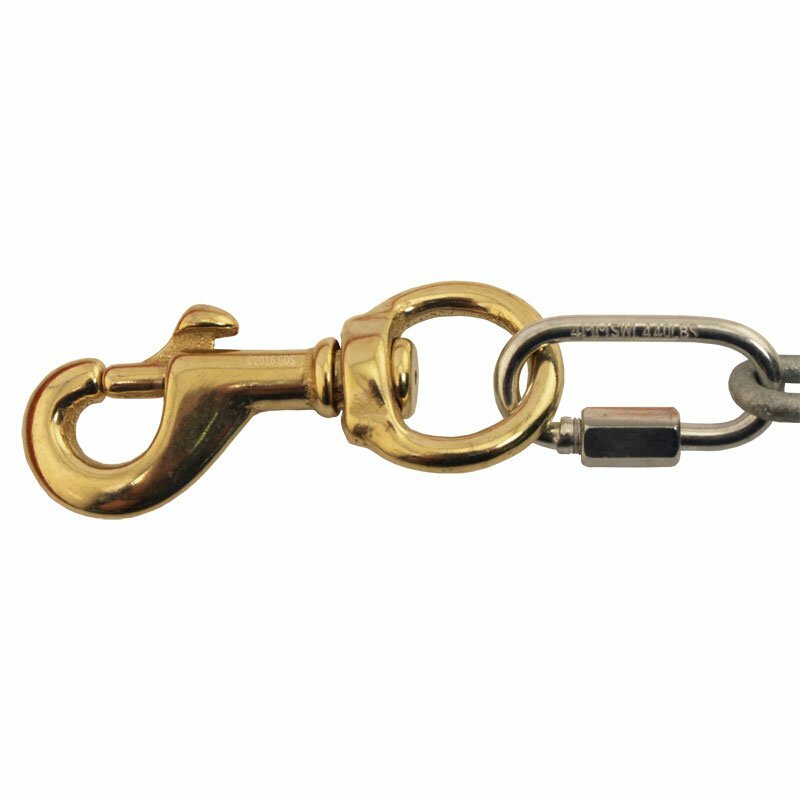 The LCS stake is priced cheaper and has a little longer chain with stronger snaps so I would give the edge to the LCS stake. Holds dogs well. Had one bend when i hit some hard soil/rocks in my yard. Prefer a bit longer chain. Overall, good product. "Work great but one of the connectors on the stake broke." Work great but one of the connectors on the stake broke..Also, these stakes should come with a cloth carrying sack with a strap since they are heavy, bulky, and also get covered in dirt..This would allow you to carry across fields easily, keep you clean and allow to carry in a vehicle without dirt getting on everything.. The stake out part is great, but the chain is terrible! Already made my own and replaced the cheap chain and snaps. My smallest dog could probably break the clasps in just a few times tied out on it. Not to mention on the chain, the part that links the clasp and the chain unscrewed, and the dog got loose. It was probably my fault as I should have checked them, but still probably a better way to link those parts would make sense. "Chain was very cheap material." Chain was very cheap material. Will work, but in time I will have to repair. "The chain is too short, and I had to file the brass clips because I sliced my thumb on them." The chain is too short, and I had to file the brass clips because I sliced my thumb on them. "Works well, chain may be a little short, my dog is never on it for to long anyway." Works well, chain may be a little short, my dog is never on it for to long anyway. Mine came and looked as though it had been chucked around the warehouse. Scratches and chips all over it. Called was told that is the way they come from the manufacturer. I would rather put my own scratches on it. That's why I gave it 3 stars. pointers & setters. Hunts. Competes. I've had to repair these dog stakes. I need a source for a heavy duty dog tie-out stake or make my own. Built for decades of problem free use. Pro-Style Stake-Outs are 30" of hardened iron with a 360 degree tangle free swivel top. 3/4" thick. NOTE: Periodically these tie-out stakes arrive from the manufacturer with scratches. This will not affect the performance of these stakes in any way.